JAKARTA – WhatsApp users will be limited to forwarding any single message a maximum of five times in what the firm has called an effort to fight the spread of fake news. The announcement was made in Jakarta, Indonesia – a country holding its general elections in April. According to the BBC, the Facebook-owned business introduced the policy in India six months ago following a number of mob actions that were blamed on fake reports spread via the platform. Until now, users in other parts of the world have been having the chance of forwarding messages up to 20 times. The firm told the BBC it had made its decision after “carefully” evaluating the results of its half-year-long test in Indonesia. “… will help keep WhatsApp focused on private messaging with close contacts. We’ll continue to listen to user feedback about their experience, and over time, look for new ways of addressing viral content,” a spokeswoman said. 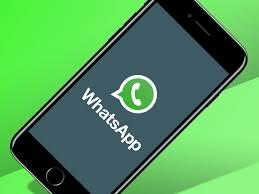 Currently, up to 256 users can be enrolled in a WhatsApp group. With the new policy, theoretically, a single user can only forward a message up to 1,280 other individuals rather than the 5,120 people figure that has been possible previously. There is nothing, however, to stop those on the receiving end each to forward the message up to five times themselves. The restriction comes at a time WhatsApp and Facebook’s other services are under scrutiny for their role in the spread of propaganda and fake news.